A-160-HG - Attachment, Shrink Tubing Up To 3/4"" O.D. A-170-HG - Attachment, Shrink Tubing 3/4"" to 2"" O.D. 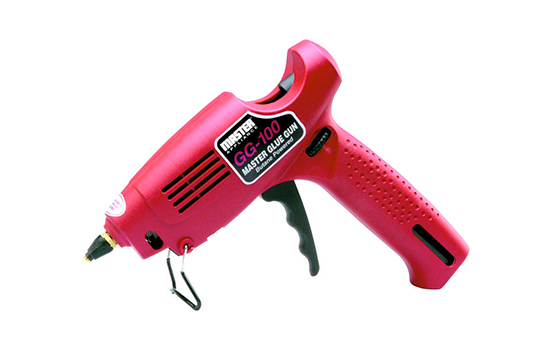 A two temperature heat gun. A great value option for moderate use. Great for removing decals, spot drying paint and other household projects. The Master-Mite heat gun has a quiet, shaded pole motor and performs benchtop jobs without excess airflow. The Master VT-750C is the Master Heat Gun with added variable temperature capability. It reaches a scorching 1000 degrees Fahrenheit and has a powerful universal motor. Ideal for projects like thawing pipes, bending pvc pipe, or packaging. Heat guns made by Master Appliance represent the very best in heat tool technology. Although many of the heat guns, soldering irons, and industrial glue guns we supply come standard with accessories to suit a variety of home repairs and commercial applications, you don't have to look for a reason to give your inventory or toolbox the upgrade it deserves. We are pleased to offer a wide selection of heat gun accessories and attachments that can make our tools even more versatile than they already are. 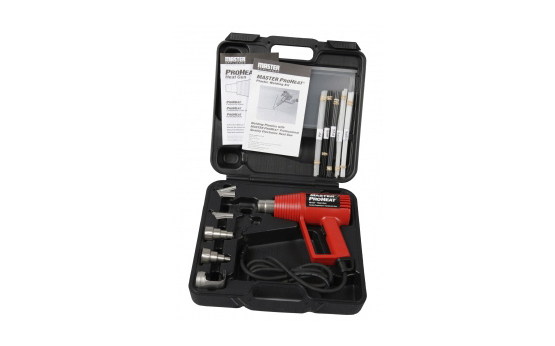 Our selection of heat tools accessories includes affordable solutions for the Master, Proheat, Proheat Veritemp, Master-Mite, Varitemp, and Ecoheat guns as well as the Ultratorch, Microtorch, and EconoIron soldering tools and the PortaPro glue gun. Heat gun attachments are some of the most useful accessories a hobbyist or professional can have. Reducers can be used for precision welding, soldering, preheating substrates, and performing detail work. Spreaders help generate airflow to larger work areas, which can be useful when applying or removing shrink films and graphics. Preforms provide a precise volume of solder and flux to the desired area. Reflector nozzles utilize reflection to spread heat, which can be very convenient when working with metal pipes and fixtures. We also offer shrink tubing attachments to help with insulating cables, providing a barrier between cables and corrosive chemicals, color coding, harnessing, and improving the look of electrical assemblies. Make each project more enjoyable by adding a bench stand to your workspace. In addition to heat gun attachments, we also supply a wide variety of heat tools attachments. Our selection of specialty tips features heat tools accessories for flameless heat, flat flame, hot knife, soldering, scraping, and cutting. We also carry torch heads, heat shrink attachments, round discs, and other soldering essentials. Make bonding and other glue applications a breeze by stocking up on hot-melt adhesives and glue gun tips while you shop with us today. When it comes to the heat gun accessories and heat tools attachments you need to get the job done right, we have all your needs covered in our collection. Please feel free to contact us with any questions or concerns. If you are all ready to try out your new Master Appliance heat gun, glue gun or plastic welding kit, you should check out accessories and attachments that will make your professional and personal jobs much easier. With our high quality professional heat tools accessories and/or attachments, performance and versatility will increase, allowing you to do more jobs in less time. Master Appliance has distribution centers all across the United States, and our convenient online distributor locator will help you find one closest to where you live. Stainless steel heat gun accessories, Ultratip® Technology soldering tips and custom made storage and carrying cases will extend the life and performance of your Master Appliance heat tools providing you many more years of use. Just as you would choose accessories for your home or car, why not add to your heating tool kit a number of valuable accessories and attachments to enhance its value? Master Appliance heat tool accessories, like our stainless steel professional quality heat gun add-ons will allow you to direct, concentrate or reflect heat for many different jobs. By adding heat gun accessories to your kit, you’ll have all the extra conveniences you need to make your system complete and perform more jobs in less time. For your welding kit needs, Master Appliance offers speed weld, pendulum weld and tack weld tips that are specially designed for specific welding applications. These can be purchased individually or on an as-needed basis. You may find you need one or all of the weld tips we have available. Master Appliance features Ultratip® Soldering Tip Technology in all Ultratorch soldering iron and heat tools. These tools are the perfect portable soldering tools for lead-free soldering materials, and Ultratip soldering tips have over twice the iron plating thickness of the competition’s brass based tips. Ultratip and Ultratorch accessories will surely extend the versatility of your Ultratorch heat tools. Econoiron heat accessories include seven different types of soldering iron tips; heat tips; torch tips; two hot knife tips; and four specialty tips making your Econoiron Butane powered tools more economical and versatile. Four brass hot glue gun tips and three different types of glue sticks are also available from Master Appliance. Our Portapro Glue Gun accessories include the general purpose tip, a needle extension tip, a diagonal cut extension tip and a spread extension tip and are perfect for carton closing and woodworking projects.